We always strive to make you feel comfortable as a guest at our place. Whether out for business or pleasure, for better or for worse, alone, in good company or with even better. We always strive to make you feel comfortable as a guest at our place. Whether out for business or pleasure, for better or for worse, alone, in good company or with even better company. That is why we are now proud to announce a newly restored and very intimate private dining room. Sheltered from the world outside, we open the door for you (and close it behind you) with this cosy, minimalistic and yet muted and sombre room situated in the back of the restaurant. Here you can join each other at the long table and enjoy both the company and the food, which enter at the same pace and conditions as “outside” in the restaurant. 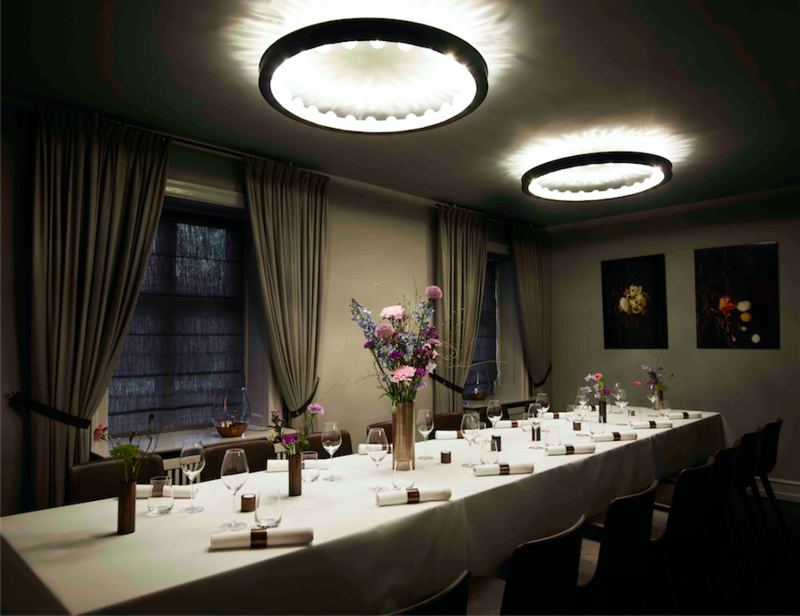 The room is decorated in collaboration with artist Anne Louise De Foss resulting in a very personal and modern look. Lighter shades now govern the room both at the table and on the walls, whilst soft light and fresh flowers open up your senses. We are looking very much forward to welcoming you in the restaurant as well as in our new private dining room. For reservations and further questions, please contact Sammy Shafi at sammy@kokkeriet.dk.